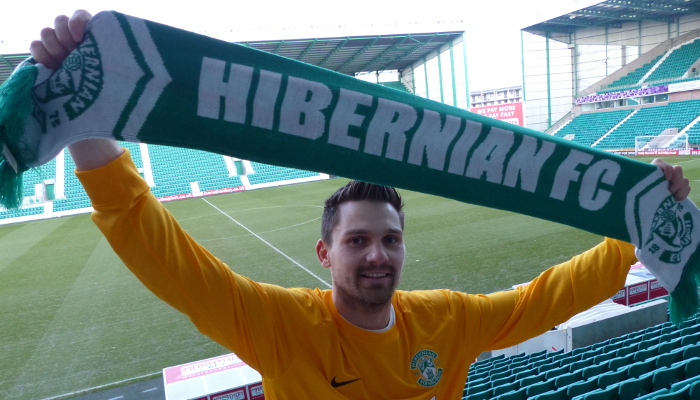 Hibernian can confirm Tomas Cerny has joined the club after the experienced goalkeeper agreed a contract until the end of the 2014/15 season. The former Czech Republic under-21 internationalist, 29, moves to Easter Road after experiencing spells with CSKA Sofia in Bulgaria and Ergotelis in Greece. Cerny had previously enjoyed a successful five-year spell with Hamilton Academical and jumped at the opportunity to sign for Hibernian. Speaking exclusively to hibernianfc.co.uk, Cerny said: “I’m really pleased to join Hibernian – this move was perfect for me for both personal and professional reasons. “My wife is Scottish and we were keen to relocate back to Scotland, so when the opportunity came up to sign for Hibernian it ticked all the right boxes. “I know a lot about the club – I’ve played against the team several times before – and I want to play my part in helping Hibernian to earn promotion. “I want to do my best to help the club to achieve promotion into the Scottish Premiership. Head Coach Alan Stubbs says he is thrilled to be able to strengthen the squad with the arrival of Cerny. Stubbs said: “We’re delighted to be able to get Tomas on board for the rest of the season. “We’d been actively looking to bring in another keeper to provide extra competition and Tomas fits the bill. 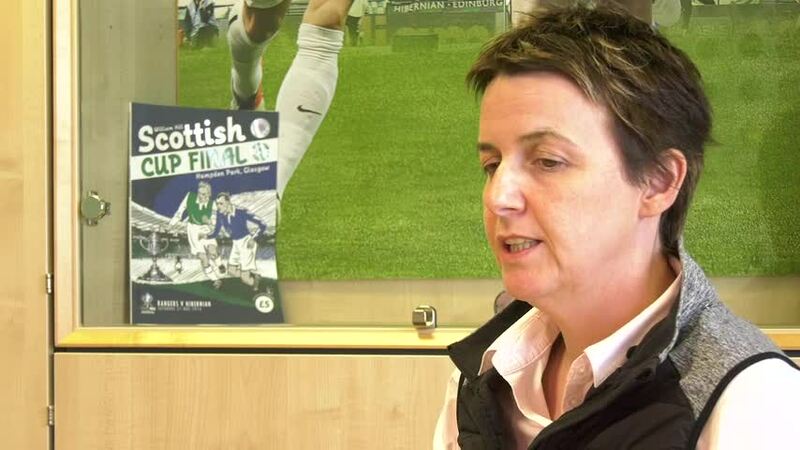 Chief Executive Leeann Dempster thanked the supporters for helping to add another new player to the first team squad during the January transfer window. Leeann said: “It has been a productive transfer window so far with the arrival of Tomas Cerny following the deals to bring both Franck Dja Djedje and Martin Boyle to Hibernian. “That level of productivity is down to the backing we’ve received by our supporters. Subject to international clearance, Cerny will be available to feature in Hibernian’s squad for Saturday’s Scottish Championship match against Raith Rovers at Easter Road (31 January, kick off 3pm). An exclusive interview with Tomas will be aired on Hibs TV tomorrow.